Casement windows are side-hinged with sashes that swing outward. Because of their outward rotation, casement windows provide significant direct ventilation and are often better suited for ventilation purposes compared to windows of equal size. Casements generally have lower rates of air leakage compared to sliding windows because the sash presses upon the frame when closing. 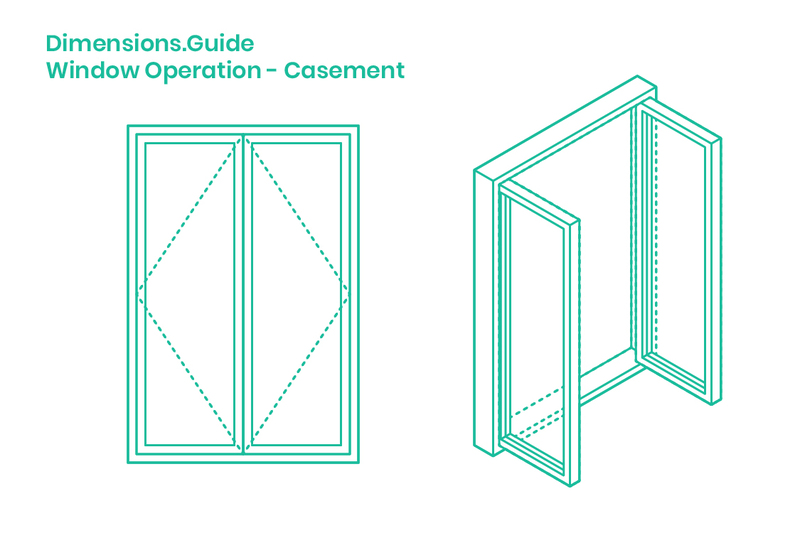 Variations on the casement window include: interior screens to control breezes, tracks for the ends of the sashes to slide along as the window opens outward, and the option for a vertical mullion or a floating astragal connection for the sashes to close on.